Sign up today and benefit from a saving of 60% ! Our service has been designed specifically for mortgage intermediaries – and is backed by a Dragon entrepreneur! If you have a client that want to sell a property anywhere in England and Wales, just recommend they use Agent Online. In return you will receive a referral fee of £150 PLUS you will be passed any potential buyers that want to view your client’s house to check they are in a position top buy it. What a great opportunity to talk to buyers about how you can help them get the right mortgage. In addition recommend to your Buy to Let clients that they use Agent Online Property Management to find tenants and manage their buy to let investments and you earn an ongoing fee from all properties under management. Agent Online will provide you with all the help you need to market these services to your existing clients. For more information fill in your details above and the broker support team will contact you. Why act now? 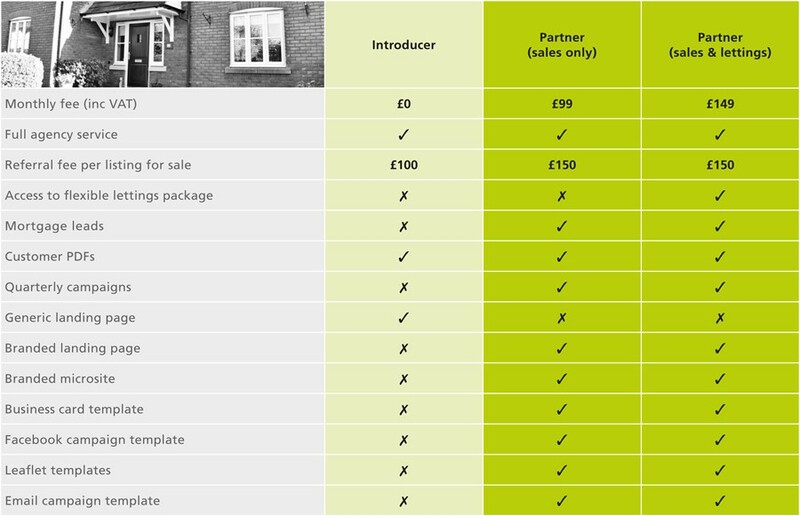 Because you will benefit from a massive 60% reduction on the prices shown below! To find out more just enter your contact details at the top of this page.